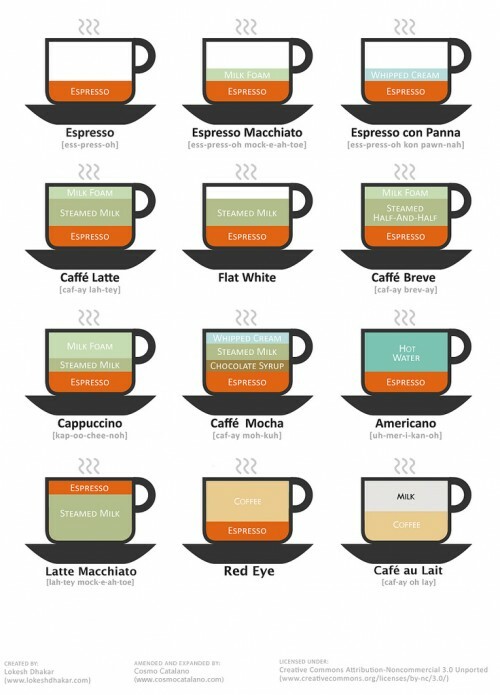 When my husband recently started drinking espresso (via our Nespresso), I tried to explain the difference between the many “fancy” espresso drinks – mocha, cappuccino, macchiato, etc, most of which seemed to have originated in Italy. Even this weekend, as we dined in our hotel restaurant, I found myself thinking about the names of the drinks as I stared at my husband’s espresso, which sat next to my daughter’s ice cream topped with homemade whipped cream. Hmmm, I thought – I know there’s a name for that….espresso topped with whipped cream, but I just couldn’t put my finger on it. 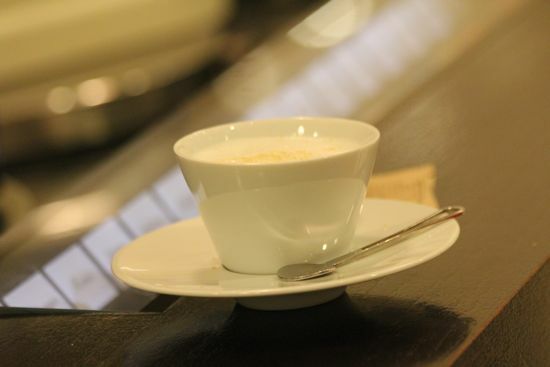 However, thanks to the iPhone 5, Google, and the very creative graphic below, I found that there is a name for this lovely Italian drink – an espresso con panna. Obviously there are other espresso drinks aside from those pictured above – especially when one considers the variety of flavored syrups to add. But if you’re ever in Italy (or even a Starbucks) and are at a loss for which espresso drink to order, the display above just may help you decide. If drinking an espresso in France is more your style, check out this guide to French café.